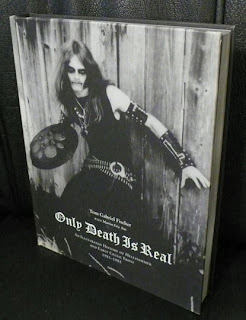 As I left the Death Star on the evening of October 16th, something told me to grab my copy of ‘Only Death is Real ’ the beautiful and staggering in absolute quality hardcover book illustrating the early years of both Hellhammer and Celtic Frost. If you haven’t seen this book and call yourself a fan of the dark arts, it is a must own, must read piece of Heavy Metal history. When I left the venue during 1349’s set, I planned on perhaps trying to wait near the bus for some signs of life as I really wanted my copy signed. The thing is such a unique and incredibly well put together book that the only thing that could ever “enhance” it further was to have it signed. This is rare because I've never been an autograph person. Sure I have several and will probably acquire several more, but it's never been my intention when meeting musicians. So as I walked out I ran into the man himself. Tom Warrior was out and about, talking to his people, taking photos and profusely thanking all those within earshot for their support and coming down to catch the debut Chicago performance of Triptykon. As I waited for my shot with the silver Sharpie, the crowd thinned, it was at this time I made a “now or never” decision to ask Tom for an impromptu interview right there and then. Tom G Warrior: Well, I’m not afraid to work, you know? If I was, I never would have left Celtic Frost. I knew exactly what I was doing; I knew I’d have to start from scratch again. I’m not dead yet so I’m here and we will work as hard as we can for however long it takes. 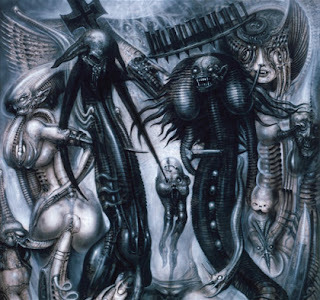 NBMO: Is it vindicating to have 'Eparistera Daimones ' out, be here in the US Touring and having all this excitement about Triptykon? NBMO: You’re decision to leave CF was a huge decision, yet at the end of the day, this day in particular it must mean a lot to be in this position, to know you followed your heart and here you are. I had to follow my instinct. That and I know the idiot that broke up Celtic Frost is back in Switzerland, he’s not touring the World, so indeed it is vindication. NBMO: Starting with the ‘Monotheist’ release, you started licensing your music to different companies here and abroad. The initial Triptykon releases are following the same suit, you basically taking control. I control everything we do! That’s the only way to approach the business these days, you have to be in full control of what it is you do. This is the only way to do things because I don’t trust anyone I choose to do it myself. Very simple, really. NBMO: This business regimen. 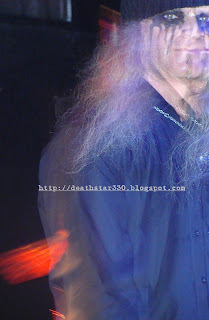 Does the past eat at you concerning all the things Celtic Frost went through? It can. I wish this was the way the business was handled back in the 80’s but I will say this. There’s no way I could have taken control of everything back then. I was too inexperienced in both the business as well as life, too young and immature for that. NBMO: As dark and intense as tonight’s performance was I think, and tell me if I’m wrong, but I think I actually saw you smile. Now what that say’s to me is how much you’re enjoying not only being on stage, but being on stage with this band. That was translated from the stage to the crowd and back. How important is the vibe to you? It is everything…otherwise I would have never left Celtic Frost. Today for instance I was on stage with good friends, I saw old friends in the crowd and all I can say is it was a pleasure. 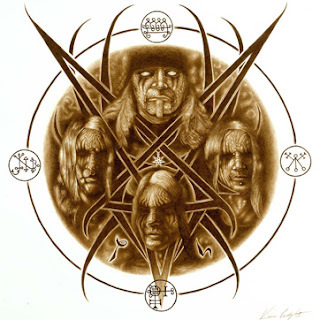 NBMO: When I think back about the improbable climb Celtic Frost faced in the early to mid 2000’s only to be cut down in its second prime, it’s hard to comprehend. I mean to come back after the initial hiatus with ‘Monotheist’ was something I never thought I’d see. That’s because we worked very carefully around that release. We didn’t just do it for a check, you know? We had a record company very interested in us coming back, but that didn’t matter, we wanted to do it and do it right. We took our time and it didn’t matter how long it took to record, it HAD to be the right album and I believe that’s why we succeeded. I’ve looked at Triptykon in the exact same way. 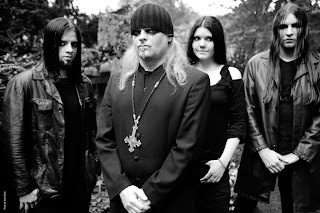 NBMO: Triptykon has done some festivals and other European touring, you’re close to finishing your first US run. Where do you go from here? I just want to create music, that’s all that matters to me. I know that’s such a cliché thing to say, but in my case all I can say is it’s very, very true. But exactly where Triptykon can go from here, I have no idea. We’re going to be focused on making albums of total quality and that’s about as much as I can say for now. NBMO: Final words for this evening to the fans of Chicago? Thank you for having me back, it’s not something I take for granted. When I left Celtic Frost I didn’t know if I’d ever be granted the chance for another US tour, but now I’m here and it’s amazing. This is a dream for many musicians and I look at it with much respect.